Below is the full text of my speech at the “Mut zur Ethik” Congress in Austria in 2006. 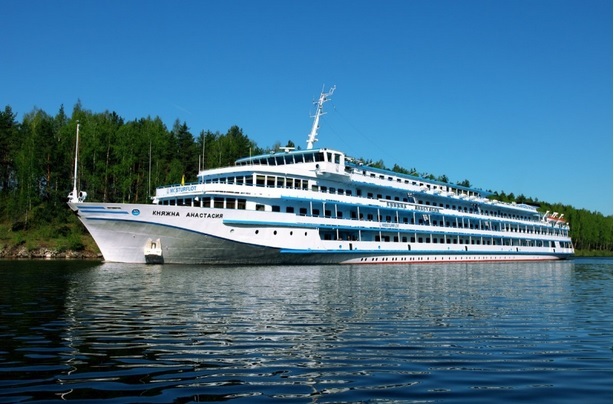 An essential ecerpt of it I incorporated into my lecture delivered during the recent Jubilee Panslavian Gathering in Russia, which was hold, from May 26 till June 3, 2017, principally on board of MS “Knezna Anastasia” cruising on canals, rivers and lakes between Moscow and St. Petersburg (former Leningrad and than Petrograd). My short lecture pleased its listemers, including an orthodox priest from Montenegro. So I decided, for the “enlightenment” of English speaking people, to recall in full this my 11 years old performance at Feldkirch. A Piagetian approach to the “L” and “R” types of (post) Christian concepts of New World Order. When I was very young, and I was living in a communist Poland, I had to participate in meetings demanding the end-up of American “dirty wars” in Korea and than in Vietnam. More than four decades later USA is still engaged in a prolonged set of wars, this time against countries of Islam. It is quite possible that Pentagon planners prepare in secrecy the subsequent set of global wars, probably against the invasion of “cosmites”, as prophesised it in 1970ies , being completely serious, the German father of American cosmic programme, Werner von Braun. I have to add immediately that such program for American 21st century is not a joke. Only few hours after I included, into the text of this speech, von Braun’s fears concerning the mental sanity of Americans, I heard at our conference the quotation from an interview given by Israeli president Moshe Katsav, claiming that “gentiles – it means me, and surely the majority of us present in this Feldkirch’s conference hall – are people who do not belong to our world, but actually belong to a different galaxy” (1). For we heard also, just prior to my speech, the full of self assurance opinion of Ariel Sharon that Americans will do, whatever Israeli government demands them to do, so the subsequent set of Am-wars will be organised – or rather, it is already under way – against us, considered to be “aliens” or “cosmites” on this planet. American publicist and politician Paul Craig Roberts, in his article “Gullible Americans” (2), suggests that such “ignorance loving” attitude of American people is somehow related with their “Christian” imagination of President Bush as a “man from God”, leading the Nation in the Holy War not only against godless homosexuals and abortionists, but also against murderous Moslems, which try to terrorise the hated by them Free World. Here indeed, an interesting approach to the origin of American “fundamentalist Christian” Democracy, gives the article of Natacha Polony, published recently in French weekly “Marianne” (3). Its author points to the fact that already the nascent Christianity “be it in its Christ’s version, be it in the Paul’s one, operated a revolution in the status of human person by a proclamation that there are no more masters nor slaves. … Ultimately this permitted the appearance of human rights … the process, which consists of the universality of the human gender, beginning not from a superman, but from the minimum of humanity, of the poor becoming the beacon of God among humans. It is in this sense Alexis de Tocqueville, author of « De la démocratie en Amerique », was able to write that (American) Democracy is the realization of Christianity”. From the not so distant history we know that the derived from Christianity idea that the poor – or the ‘proletarian’, as used to say Marxists – is the “light of mankind”, become the official dogma of all secular communist regimes. It means that in a difference with de Tocqueville opinion, Northern Americans – in a sharp distinction from Latin Americans – are not the nation, which considers the economically minimal people to form “the beacon of the world”. For American self-made-men, proud of their material achievements, the substantially different kind of Christian poverty, the true “minimum of humanity”, become the “light”, which they obediently follow, treating with contempt all other cultures, the “anti-Christian” communism of course included. What is the name of this specific light, radiating from the “City on the hill”, to which biblical entity American presidents frequently refer? Natacha Polony recalls in her article the impact, which on Christian public had – and has – the message of Christ during the Sermon on the Mount. Jesus quoted in the Gospel of Luke pronounces there indeed the blessing of the “poor” as the first one – which blessing revolted, by its apparent idiocy, the Jewish philosopher Karl Popper. What Polony omits in her article, is the fact that in the Gospel of Matthew, during the same Sermon on Mount, Jesus blesses not the people economically (it means, only externally) poor, but these internally “poor in spirit”. This blessing, which revolts me since its first lecture, is accompanied by an equally revolting me blessing “of the meek”, which into Polish is translated as “those who remain silent”. These two bizarre blessings do not fit at all to the personality of Jesus of Nazareth we construct in our minds after reading carefully all four Gospels: Jesus was a true Aristotelian megalopsychos, a outspoken man of a great spirit, who “arguing” with Merchants of the Temple did not hesitate to use his brutal, physical force. L-Christianity is based on God’s blessing of economically deprived proletarians. It is thus comprehensive that L-Christians, which in Antiquity limited themselves to the life in austerity, in modern times mutated into aggressive communists, which intend to purify the earth from owners of big private estates, from owners of private factories, private banks, private schools and private media (see proposals of dating from 1848 “Communist Manifesto” of Marx & Engels). By doing this, and by forcing the populace to live in a “Spartiate” austerity, these L-type, “Hellenist” post Christians hope, following the blessing of Christ, to make happy as many people as possible. Looking at this program of “Dictatorship of Proletarians”, from the viewpoint of Piagetian developmental psychology, we have to admit that the deprivation of young people of luxury toys, helps indeed to develop their psycho-motor faculties. Children, which are not isolated from others by the abundance of surrounding them artefacts, earlier than these of rich families grew out of the period of “childish egoism”; the absence in schools of sophisticated tools facilitating the life of pupils (for ex. the absence of electronic calculators), helps the learning of calculus, and so on. In short, by making the “economically minimal man” (“the proletarian”) the “light of the world”, communist descendants of L-Christians, by a sheer zoological necessity, known as the Law of Lamarck (5), were/are making people sensibly better developed in their “pneuma” than leaders of these regimes, which force people to live in not stimulating, sedentary comfort. The grown in austerity “proletarians” are thus more prone than bourgeois to accept as their heroes men representing antique virtus – by which term we understand individuals characterised by courage and by broad knowledge. The opposite effect we shall expect in case of development of R-type (“righteous”) Christianity, promoted by the gospel of Matthew, which is particularly well fit for the Jewish and Judeo-Christian mentality (4). It is in this Gospel the blessing of “poor in spirit for theirs is the kingdom of heaven” opens the Sermon on the Mount. Such “Christ’s blessing” has several negative implications, which we will try to enumerate in few, logically interconnected, points. 1. In case a “minimally human”, devoid yet of any virtue, childish individual hears constantly that he is “God blessed”, so even in his “slow in spirit” mind he is able to calculate that any effort to attain a higher level of mental development will lead him to the loss of this blessing. The blessing of these “poor in spirit” is thus completely anti-pedagogical, for it stimulates the growth of the populace of ordinary morons, and one may check in any serious etymological dictionary that the pejorative word ‘cretin’ originated from French chrétien, it means ‘Christian’. 4. These heroic efforts, aiming at the suppression of all broadminded people, logically lead to the apparition of completely new, always “politically correct” elites. It is of interest to place these “new elites” in the context of the social system considered to be the best already in Antiquity, and described in Plato’s “Republics”. The imagined by him perfect polis had its “head” consisting of a handful of philosophers, had its protective “arms”, made of the circle of “guardians”, characterized by their irascible souls, and at the “bottom” it had the lowly differentiated class of “feeders”, characterized by their “concupiscent” behavior. Once R-Christians – as it happen during Protestant Revolutions – “cut off” the parasitic aristocratic “head” of controlled by them societies, the antique virtus, consisting of wisdom combined with honor, of course vanished, and so called low class, economy-linked values of ‘spiritually minimal humans’ become socially dominant. In short, by the victory in the Western World (and in particular in isolated from Continental Europe, England and North America), of R-type, Protestant Christianity, automatically the “universal” cult of Mammon began its victorious progress, interrupted only by distant communist insurrections. 5. The lure of Mammon is indeed very attractive for all “poor in spirit” individuals, which behave like children, loving shining mechanical toys. These, liberated by consecutive bourgeois revolutions, common people are thus easily manipulated, by the commercial propaganda, to hurry to join the “Paradise of Rich”, which they see on innumerable ads and TV screens. These naive greedy people, forming the supposed “light of the world”, behave thus in exactly the same manner as flies, which hurry to settle on the deliciously smelling for them excrements. In this “smelly” context, of the “spiritual life” of today, we have to remember that for early Christians money had indeed the smell of excrements. The American Democracy, which is built, since its very beginning, on the power of money, is in this respect as anti-Christian regime as possible. 6. This is not the only danger. The “Christian” American leaders (to mention only presidents Reagan and Bush) constantly bless their “poor in spirit”, subjects, so by the “Principle of biblical Jacob” these not reasoning too much subjects are used to bless in turn blessing them presidents. In this manner the R-type, “righteous” Judeo-Christian society becomes ever more self-blinded to crimes their super civilization “under God” become engaged in. 7. And the last, but surely of planetary importance, conclusion. As we wrote at the beginning, the Piaget’s concept of human maturation implies that the life in a constant material opulence causes, by a necessary biological feedback, the diminishment of general intelligence (of “pneuma” or “spirit”), of people which become too rich. The super-rich are becoming thus “new poor in spirit”, automatically blessed by an invented by Matthew “God” – which righteous Christian attitude is indeed the essence of “American” understanding what is good and what is evil in the universe. Events which followed the murderous demolition of WTC Towers on September 11 2001, provide a magnificent example how the blessing of poor in spirit – and also of these meek, which means “silent” – works. The Chosen by “God” People, like the owner of WTC complex, Larry Silverstein who made billions on his property destruction, since already 5 years withheld as much as possible their breath – it means they compress their “pneuma” – in order not to pass the word how this superb demolition was engineered, namely how it happen that these three tall buildings (WTC 1, 2 and 7) have fallen with the speed of freely falling stone, precisely into contours of their basements. And thanks to lasting for years silence (“meekness”) of people, which were engaged both in WTC demolition and in “cover up’ of this monstrous crime, these criminals become fabulously rich – thus they earned the very material means to “inherit the earth” – at least its considerable chunks – as promised them the Gospel of Matthew. They also, as newly born ‘poor in spirit’ become “the light of the world”, by their truly golden ‘silence’ giving example to be imitated everywhere. The proverbial City on the Hill, illuminated by ‘silence’ of these Supermen, becomes thus ever more intensely shinning Planetary Lantern, towards which fly, swim and run ordinary people from all continents, behaving in a manner identical to insects, called moths, which mindlessly are flying to attracting them source of light. All these criminal “ventures”, of the type of WTC demolition, and of following it attacks on Afghanistan and Iraq, become practically impossible to contain and/or punish, once the Soviet Super State disappeared. The lack of counter-balance permits at present to the “Axis of Idiots”, of USA/GB/Israel (expression of Ian Buckley), the realization of a project of the New World Order built by the means of Successful Lie only. This “Holy Lie”, consisting of a systematic blaming the victim, for the evil done to him, is deeply incrusted into “righteous” Christian ethics (6). Moreover, the whole educational system, which is built on a catholic (mis)conception that “the curiosity is the first step to the hell” – as I heard it from priests in my youth – is directed towards the goal of obscuring the reality, “so people cannot see how things really are”, to quote the already 30 years old observation of English sociologist Michael Thompson (7). As people grown up in considered as “ours”, Christian culture, we have to clean our heads from “viruses”, which have been added to the original, surely rational, teachings of Jesus (and/or of his spiritual predecessors). This in large extend means the return to this damned by the Church, early Christian Marcion’s “heresy”, which mindfully was associating fides and ratio into its religious program. Once we overcome the ‘mindlock’, prohibiting such rational thinking, we immediately may expect benefits of this act for all inhabitants of our earth, endangered non-human wild species of course included. Namely, the condemnation of the present social admiration of the rich as “blessed by God”, must automatically lead to the limitation of antisocial predatory behaviors, of which “wars for profit”, conducted incessantly by the Anglo-Saxon civil society, form only the externally visible “tip of an iceberg”. M.G. Feldkirch Conference Hall, Sept. 1, 2006, 1 – 1.20 PM. One of participants of our conference, Steve Sniegoski from USA, during the post-conference informal meeting, remarked that in his country a serious opposition against government politics is practically impossible. Americans are trained not to look at affairs, which are not immediately linked with their professional, money earning activity. Such a broadmindness is even considered by them to be a handicap in the professional life, endangering not only their own wellbeing, but also wellbeing of their family, children, etc. This American habit is known as the principle “watch your business”, and it provides an excellent example how people, who force themselves to suppress their spirit of curiosity, and their natural eagerness to communicate with others, are indeed able to accumulate financial means “to inherit the earth”, exactly as Christ of Matthew promised to Christian imitators of Jewish commercial habits. How the practical realization of this “divine project” is achieved, told us our colleague from Turkey, 73 years old prof. Oktay Sinanoglu. According to him, already few years ago, members of Turkish Parliament have signed “in blanco” – and in secrecy – a bill, which gives away two third of Turkish territory to a “foreign” Empire. This means that in oncoming years common, not expecting yet nothing, Turks may find that their status become similar to the one of Palestinians in Palestine, namely of “aliens from other Galaxy”, as observed it Israeli PM Moshe Katzaw (1). During my flight back from Zurich to Warsaw, I had a chance to speak about this achievements of Turkish democracy, with a young Swiss commercial agent, sitting next to me. He informed me that indeed there is observed a true rush of British real estate agencies towards Turkey, considered to be the New Frontier of global land speculations. He added that we shall be aware that similar secret “democratic” laws, permitting the interception of land by “foreign” Empire, will be implemented soon also in Poland, as well as in other Eastern European countries, immense Russia included. The manner, in which “parliamentarians of all nations” are invited to sign “in blanco” every kind of a bill, which ‘under the table’ is assisted by a proverbial “donkey loaded with gold”, may serve as a model how in Antiquity have passed collective decisions of bishops of the Church “selling the Christ to Jews”. In particular the Council of Nice in 325 assured that the Gospel of Luke will be accompanied by the “mirror” one of Matthew, changing in this way the initially straightforward Christ, into a divinity with Double Face, worship today in particular by American R-Christians. Putting our considerations in a more explicit way, we may imagine that one, well visible face of this ‘Double Christian Divinity’, tells naive Christian morons “do not try to move out from gluing your soul swamp you are sitting in, for thanks to your immobility your will be – after the rapture out, of course – the Kingdom of Heaven”. And the more camouflaged Second Face of this “Western” Divinity whispers to its chosen people, in particular to ‘watching their business’ high Christian priesthood: “keep your tongue behind your teeth, the silence is gold, and in this way you will inherit the earth”. In all evidence this Nizzami fable – which in opinion of I.A.Sh. is providing an excellent allegory of the Jews capacity of “changing of the outer skin” in order to lure their prey – applies also to the not so distant history of the sudden fall of the Soviet Union. The “cat” (it means American Jewish “investors”), seeing that it is not able to catch its prey (it means, the fabulous riches of the former Soviet Empire) in a conventional manner, suddenly changed its anti Soviet attitude, become a friend of Soviet officials, its politicians – like Brzezinski – started to talk about “convergence” and “opening” for all types of collaboration, the collaboration of Secret Services of course included. And the “mouse” in form of Gorbatchev’s clique installed (divine by whom?) in Moscow, believed in these good news coming from the former enemy. So naive Gorbie opened his gigantic country for the penetration of “missionaries of democracy” like the famous George Soros. “A moment of the eternity clock passed”, and the bulk of riches of former USSR have fallen into “American” claws, to point only at the oil extracted from the Western Coast of Caspian Sea. The testimony of a similar “Jewish trick” we find in Apostles Acts, relating the sudden conversion St. Paul on the road to Damascus. As every Christian knows it, this true builder of the Christian religion has suddenly turned, from “breathing threats and murder” (Acts, 9, 1) Jewish procurer Saul, into predicating the Christian Love Apostle (8). Once again “a moment of the eternity clock passed”, and naive Christians have found themselves in claws of controlling their mentality Global Zionist Mafia, which Mafia’s “thousand years Kingdom” was outlined already by prophet Isaiah (61, 4-8). (1) Moshe Katsaw, Jerusalem Post, May 10, 2001. (3) Natacha Polony “Le christianisme ou la naissance de l’universel”, Marianne, no 481, Paris 2006. This issue of Marianne is consecrated to the problem of religious wars, both in the past and today. (4) Józef Keller „Zarys dziejów religii”, Iskry, Warszawa 1988. (5) The Lamarck’s Law of Biology (organs grow as the result of their exercise, and this propensity for selective hypertrophy becomes with time heritable) was formulated already two hundred years ago in J.B. Lamarck book on evolution titled “La philosophie zoologique”. The existence of this Law of Nature become vigorously denied by all “poor in spirit” biologists, particularly these of Neodarwinian obedience. (6) The model of such hypocrite “Christian ethics” we find already in related in the Bible behavior of Moses led Jews, which “despoiled the Egyptians” prior to their famous Exodus (13, 35-36). Later on the technique “Thief, thief” was applied by Crusaders robbing riches of the Holy Land, than by Conquistadors in America, and by Anglosaxons bombing at will German and Japanese cities during WW2. And now we witness the “Reconquista” of Middle East by post-modern “crusaders”. All this indicates that the “Invisible Godfather” of R-Christians is the same Monster, which worshipped pious antique “believing in him” Jews, questioned by Jesus during his visit in the Temple: “Your father was murderer from the beginning, and has nothing with the truth, for there is no truth in him” (John 8, 44). (7) Michael Thompson “The Rubbish Theory”, Oxford University Press, Oxford, 1977. (8) Apostle Paul, the incessantly travelling (sponsored by whom?) Vicar of Christ, assured readers of his letters that “the elder (thus more broadminded) will serve the younger; as it was written Jacob (the dumb but industrious natural slave) I loved, but Esau (aristocratic hunter and warrior) I hated.” (Romans, 9, 12-13). Paul thus demonstrated what in practice means the predicated by him, supposedly “universal”, God’s Love (agapé in Greek). It is worth to add that the mentioned in Paul’s predication project of subjugation (or eradication) of all Esau’s heirs, called Edomites (from Adam, the first man), is realised at present at a full speed, and this not only in the Middle East.